Is it cheaper to leave central heating running or switch it on and off? It’s that time of year – nights are getting longer, and the skies are growing dark far earlier in the day. While Derby experiences a chill as winter approaches, many of us will be looking for ways to keep warm. But with the festive season approaching, families will be trying to make their pennies stretch further as we head deeper into the winter season. With Christmas coming, we could all do with saving a bit of money, but how do we do that – while keeping our homes nice and cosy? Martin Lewis, AKA the Money Saving Expert, reckons it’s actually better to use a timer with a thermostat – meaning it can detect the room temperature and turn the heating on and off accordingly. Both the Energy Saving Trust and British Gas agree with Martin’s advice – however, for those with a damp problem, some heating engineers say that keeping your radiators on full but with the boiler turned down can help reduce condensation. Warmer temperatures can stop condensation building up within the walls, which encourages mould and can make properties even colder. The chill can feel unexpected and it often seems like we just don’t know how to cope with it. So what’s the best way to deal with cold spells – and not end up with massive heating bills? 1. This one may seem like common sense, and apologies for sounding like everyone’s dad, but put a jumper on. 2. Exclude those draughts. Whether it is a draught excluder for your doors, or draught-proofing strips for the windows, get plugging those gaps. 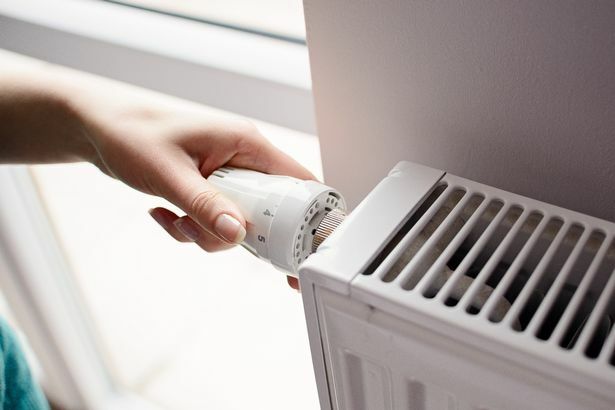 A lack of draughts can save you £55 a year on heating bills alone, according to Ovo Energy,and that’s not including the money you can save by turning your heating down a degree or two, due to your home being a bit warmer. Also most boiler break downs happen due to a small but persistent fault, so a service should hopefully help you avoid waking up in a chill in the middle of winter. 7. Most radiators already come with a thermostatic radiator valve – the knob on the side with the numbers on. If you don’t have them they are well worth investing in as they can be used to regulate heat in individual rooms. Most of us do not need to heat our spare rooms to the same temperature as our bedroom, for example, so turn that radiator down. 8. Get a thick set of curtains. They may make the room darker when closed, but it is winter so this shouldn’t really matter. And they do a great job of trapping the heat in to save you money. 10. And finally, turn down your room thermostat. While it can be nice to walk into a really warm house when it is cold outside, the reality is you don’t actually need your home to be in the mid-20s. Most of us are happy in a home around 18 or 19C. And you can always put that jumper back onRemember every degree lowered can save you £65 a year. The following article explains how Christchurch’s new heating scheme works. I’m not a boffin or a nerd but still found the Stuff.com article an informative read. The district energy scheme at Ngai Tahu’s Pita Te Hori Centre heats and cools the centre and the Christchurch City Council HQ next door, using a massive heat battery and gas from landfill. A district energy scheme has just been turned on at Ngāi Tahu’s new development in central Christchurch. It would be a “district energy scheme” that could link up to 1000 buildings in the central business district to an efficient electricity generation and heating and cooling system that burned renewable waste materials and biomass. It would make rebuilt Christchurch better after the trauma of the earthquakes. It didn’t happen how the dreamers hoped. Instead most property developers went their own way and installed heating and cooling plants that serviced only their own new buildings. $310,000 for unsubstantiated claims is really a tap on the hand for Fujitsu when you consider the company has made more than $104 million in heat pump sales. Lets take it as a moral victory instead; one for the consumers. For the first time, a company has been prosecuted by the Commerce Commission under a section of the Fair Trading Act for making unsubstantiated representations. Fujitsu General New Zealand pleaded guilty to seven charges of breaches of the Fair Trading Act over ads that claimed the heat pumps were the most efficient in New Zealand. In my journey to learn more about heating I have discovered many things. This story has to be the strangest and the saddest – Luckily no one was injured. If you are thinking of installing a logburner and fireplace please ensure it is installed by a certified installer and that you service it regularly. 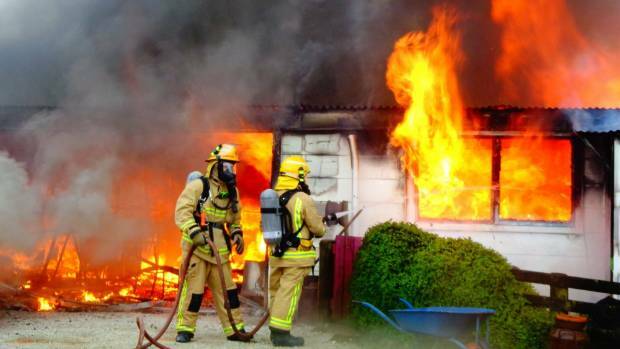 A fire that ravaged a Waitomo family’s home leaving them with almost nothing was sparked by a phenomenon known as pyrophoric action. And fire investigators say many Kiwis may be unaware of the risk. In the last five years it has sparked 46 structure fires nationwide in the last five years. The New Zealand Government is investing $150,000 to stimulate demand for geothermal heat resources in the Bay of Plenty region. Geothermal energy is a global industry estimated to be worth $62.8 billion by 2020. Kerching!!!! I’d like a slice of that action… but wouldn’t we all. Seems hard to believe that currently only 5 per cent of geothermal energy is being used in New Zealand. There is significant potential for greater use both across the Bay of Plenty and other regions in New Zealand. It seems that we, as a nation, choose to live like cavemen during the winter only to step out into the first-world spring sun after three arduous months. Does New Zealand swing from a first to a third-world country depending on the seasons? Why do we rely on wood to keep us warm? Why do we choose to live in one room during the winter months? The following article from Stuff demonstrates how Christchurch relies on pioneering heating techniques from yesteryear to stay warm. Huge queues form for firewood purchases in Christchurch as more cold and wet weather looms. Hundreds of people have queued for hours to buy firewood from Christchurch’s largest supplier as harsh wintry conditions loom. Supply problems and a stormy winter have caused firewood shortages across the city. The following article has been taken directly from Stuff.com (10/8/2017). While it may not help you with your own plans its definitely reassuring to know that companies are investing huge amounts of money into central heating schemes that aren’t just heat pumps/air conditioning units. Christchurch’s post-quake ambition was to create a super efficient district energy scheme for the CBD, but it went nowhere. Now, former Canterbury Earthquake Recovery Authority (Cera) boss Roger Sutton is in charge and the plan has been rekindled. On Thursday, Sutton showed off the $2 million first phase of the scheme at Ngai Tahu’s new Pita Te Hori Centre across from the Christchurch City Council headquarters. It relies mainly on an underground aquifer as an energy source. 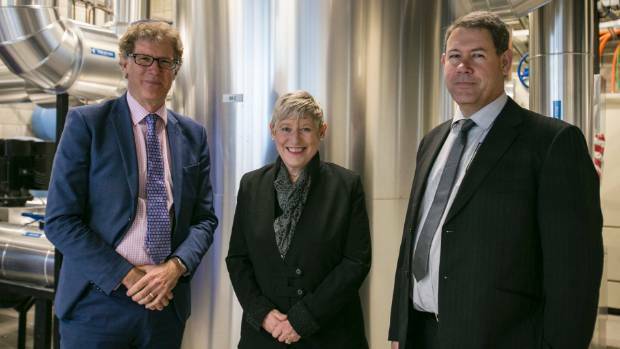 The district energy scheme “saves winter energy and that’s what we’re really short of in this country,” says Roger Sutton, left, with Christchurch Mayor Lianne Dalziel and Pioneer Energy chief executive Fraser Jonker. Beware of pop up businesses that promise unicorns and sparkles. If it sounds to good to be true it probably will be. Please, please, please carry out due diligence to ensure your heating installer has the right credentials for the job. Talk to merchants, suppliers, industry leaders and customers to ensure that you get the right heating system for your home. The following article taken from The Press highlights the ups and downs of one family who thankfully were awarded compensation for the shoddy workmanship they received. Why aren’t more buildings heated using geothermal energy? There are 800 houses being built by a single developer in Sydney Australia. 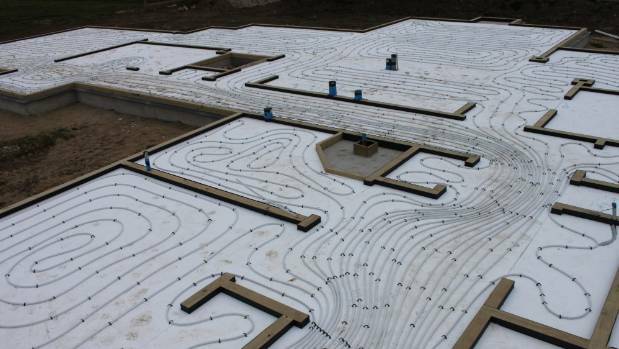 The developer took the decision to install a ground source heat pump in every dwelling. How cool is that? Actually… You could argue its not cool at all, its actually warming. This is just one of the discussion points of an article published by abc.net.au. The article looks at the largest closed-loop geothermal system in the Southern Hemisphere and is well worth a read. It contains a an explanation of what geothermal heating is and its benefits. The inner nerd in me really enjoyed the article which was in response to a question from Don Fletcher who has lived in Canberra for “something like 40 years”. Don worked at the ACT Government as an ecologist and has recently retired. Like me Don is interested in his country’s energy future, and wants to know more about alternative sources of power. Geothermal is just one of them.